3/16" diameter - This thicker size is usually chosen for commercial and some residential areas due to its superior strength and durability. 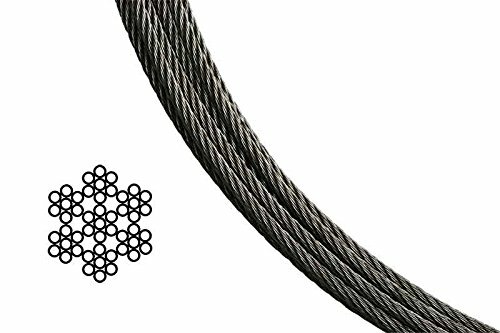 7×7 cable - 7 bundles, composed of 7 individual wires each, are twisted together into one wire rope. This type looks quite like rope and is less rigid, making is an excellent choice for a railing system with lots of corners.